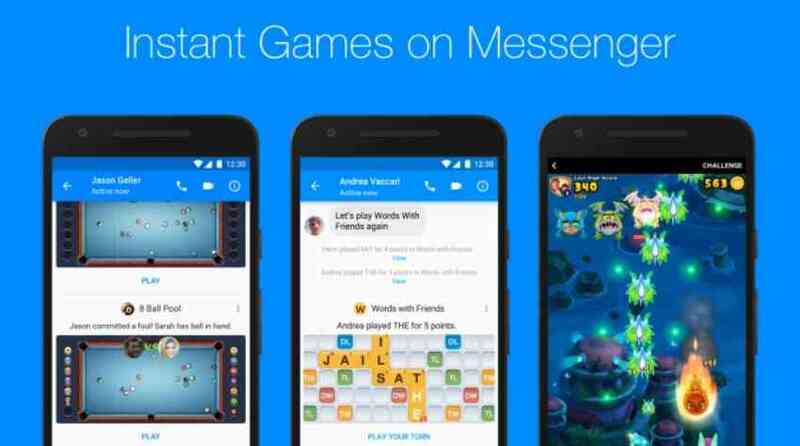 Facebook is beginning to roll out instant games for its messenger platform, which will bring plenty of gaming action to its users worldwide. With the update, users can find various games and leaderboards, they can even participate in tournaments. In order to fulfill the most frequent request the new instant game now supports turn-by-turn games. Zynga’s Words With Friends is the first turn-by-turn game, that additionally allows chatting while playing the game. The good news for now, the games come without any ad or in-app purchase, that’s why none the developers or Facebook are making money from this new platform. The Silicon Valley based social network launched instant games last November in 30 countries for users of iOS version 8 or later and Android version 5 or later, that provides great cross platform gaming experience in messenger and news feed on mobile devices and web. Now, after years of neglect, it seems like Facebook is heading towards the right direction with the Messenger app. The company has learned the best gaming platform is where the user spends most of the time, in the coming days users are likely to spend most of their time in smartphone chats, so to get the biggest piece of the pie Facebook is integrating gaming with the already popular messaging app.